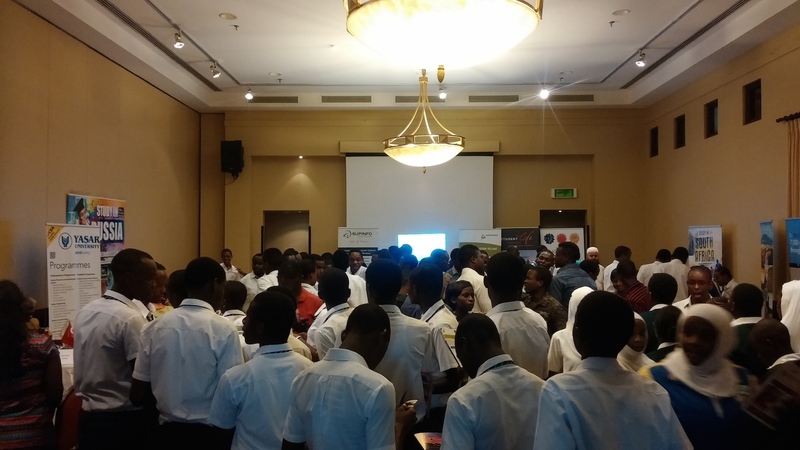 On the 23rd of February 2015, we had the opportunity to meet almost 600 students at the Serena Hotel in Dar es Salaam at the International University Show. We were joined by various post-secondary educational institutions from around the world including South Africa, Turkey, Mauritius, Russia and many more. The turn out was fantastic and we had a lot of fun meeting students from many secondary schools around Dar es Salaam including Lauriate International School, Alpaha High School, Tambaza Secondary School, Kisutu Girls School, Dar es Salaam Institute of Technology, St. Mary's International, Shaaban Robert Secondary School, Almuntazir Islamic Seminary, Kenton Mwenge Secondary School, Azania Secondary School and Academic International Secondary School. We wish all the students success in their quest for the best university and college education opportunities. For those who are looking for ideas, feel free to contact us for more information.